These cookies are an adapted version of the molasses cookies from The New Portuguese Table by David Leite. I could say more, but I think I will sum it up this way: they are awesome. They are crips on the outside and chewy on the inside. Preheat the oven to 350°F/175°C. In a large bowl whisk together the dry ingredients. In another large bowl whisk together the oil, molasses and sugar. Then whisk in the egg. Pour the dry ingredients into the wet ingredients and mix together just until most of the flour is incorporated. Then stir in the walnut piece. Do not over-stir. Form balls that are about two tablespoons of dough and place on a cookie sheet three inches apart so they have room to spread. Bake for about 12 minutes, or just until the cookies begin to brown on the edges. This dough is dark so look carefully! I adapted David Leite’s Orange Cake to be gluten free. It is from his wonderful cookbook, The New Portuguese Table. This recipe is quite similar to his original recipe. 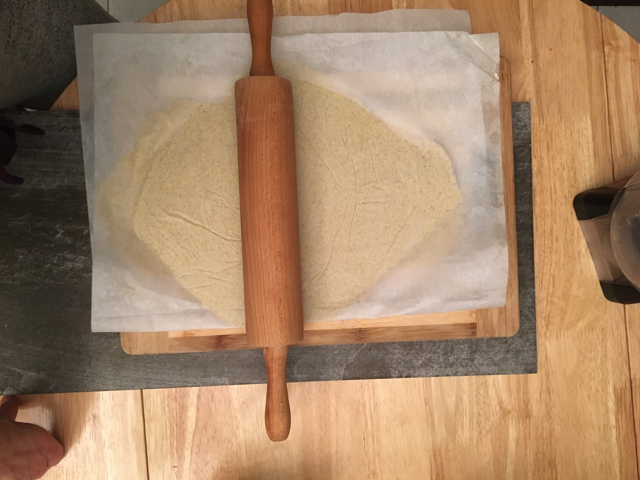 The flour is different and I added psyllium husk powder and more orange zest. The cake is also naturally dairy free and it’s a wonderful make-ahead dessert. Preheat the oven to 350°F/175°C. Zest four oranges and then juice enough oranges to make 1 1/2 cups of juice. Set aside. Oil a 12-cup Bundt cake pan. In a large mixing bowl mix the eggs on medium speed, and slowly add the sugar. Then beat on high until the mixture is a pale yellow and luscious looking. Add the olive oil and dry ingredients, alternating between the two just until the flour is blended in. Lastly, stir in the orange juice and zest. Pour into the prepared Bundt cake pan and bake for about one hour, or until a toothpick inserted comes out clean or with a crumb or two attached. Allow to cool completely before serving. Note: This cake is best the next day and it will stay moist for several days. Once it is cooled, store it in an airtight container or cake stand with a lid. Makes one 9-inch round cake or one 8 x 8 inch cake. This recipe can be used to make cupcakes or whoopee pies. Preheat the oven to 350°F. Grease an 8x8 baking dish and line the bottom with parchment paper. If you’re doing so, make sure that your 8x8 baking dish is at least 1 1/2 inches tall. Or, for a layered cake, grease the sides of two 9-inch round cake pans with oil or butter. Cut two round parchment circles, and place them in the bottom of the pans for easy release. In a medium bowl whisk together the wet ingredients. Add the flour mixture to the wet mixture and whisk just until most of the lumps are gone. Pour the batter into your baking dish and bake for about 25 minutes or just until the middle springs back when pressed. Allow to cool completely before frosting. For the buttercream: While the cake bakes, prepare the buttercream. Stir together the powdered sugar and buttercream. If your powdered sugar has lumps you may want to sift it first. If you like your frosting light, you can whip it on high for a couple of minutes. Then add zest and poppy seeds. Using a spatula, place frosting in the middle of the top of the cake and gently frost it outward with the spatula trying to avoid picking up crumbs. Keep the cake in the fridge if it’s not ready to consume.